Sunday, October 19, from Noon to 5:00 PM. The Drake House Museum is among the 27 Union County historic sites on tour that will celebrate memorable moments in New Jersey history. There will be a special exhibit at the Drake House Museum, entitled "Sousa's Historic Concert in Plainfield – 1892." 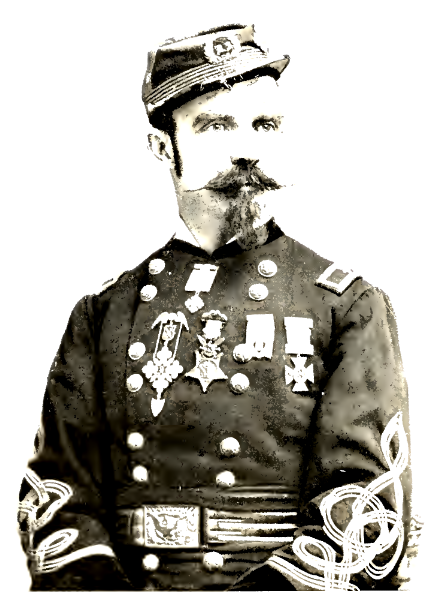 In 1892, John Philip Sousa left the command of the United States Marine Band and formed his own professional concert band. The band made its public debut at the Stillman Music Hall, 216 West Front Street, Plainfield, NJ, on Monday, September 26, 1892. Sousa then toured North America and the world as "The March King" for the next forty years playing over 15,000 concerts. Sousa and His Band brought music to the people, and Sousa's Band became the model for the growth of community concert bands, high school bands and music education throughout America. He was also a prolific composer, probably best known today for writing "Stars and Stripes Forever." 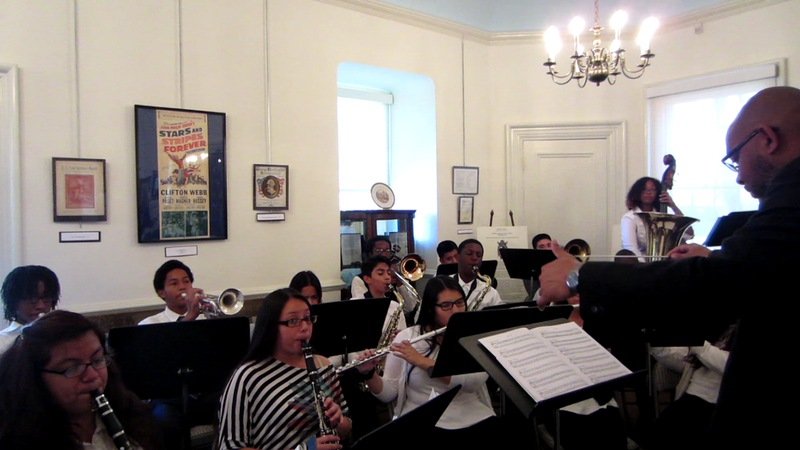 The exhibit will be on display in the second floor ballroom of the Drake House Museum, and on Sunday, October 19, 2014, at 1:00 PM, the PAAAS Wind Ensemble under the direction of Gregory O. Williams will play patriotic musical selections. PAAAS (Plainfield Academy for the Arts and Advanced Studies) is Plainfield's own performing arts incubator. All students who visit the Drake House Museum during the Four Centuries in a Weekend celebration will receive a special Sousa "The March King" activity sheet. Please join us in learning about New Jersey and Plainfield history. Self-guided tours will be available anytime on Saturday from 10 to 5, and Sunday, Noon to 5. In commemoration of National Medal of Honor Day, the Historical Society of Plainfield will host a gallery talk on Sunday, March 30, 2014, at 2:30PM, about Congressional Medal of Honor winners: Julian Scott and James Madison Drake. Both men received their Medals for service during the Civil War, and both have an association with the Drake House Museum in Plainfield. 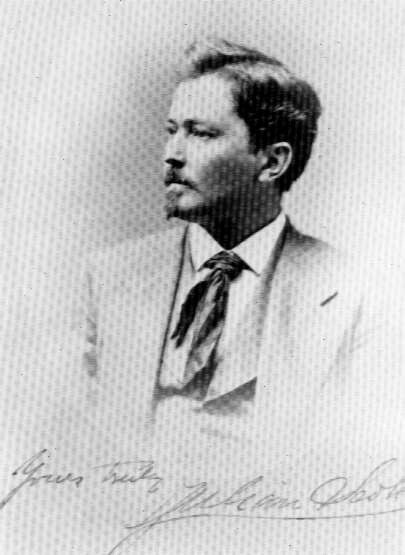 Julian Scott was an artist, who after the Civil War settled in Plainfield, had a studio in the Babcock building. Five of his paintings are on exhibit in the Harberger Library in the Drake House. James Madison Drake was a descendant of Nathaniel Drake, whose home is now the Drake House Museum. Last year the County of Union commemorated both Julian Scott and James Madison Drake along with other Union County residents on a memorial stone which is located outside the Union County Courthouse. The County of Union recently donated Julian Scott's and James Madison Drake's biography boards to the Historical Society of Plainfield. The boards will be on display in the second floor ballroom of the Drake House Museum. The Public is invited to attend the gallery talk presented by Historical Society of Plainfield Trustee, Nancy Piwowar. The men's stories are interesting pieces of local history that had a national impact. Julian Scott became a Civil War artist and later worked as an census taker of Native Americans for the US Government. James Madison Drake was a prisoner of war, held in Libby Prison, Richmond, Virginia; he escaped from the Confederates by jumping off a train in Georgia and walking through the Carolinas to the Union Lines in Tennessee. Please join us Sunday, March 30, 2014, at 2:30PM in the second floor ballroom for this gallery talk. Refreshments will be served. The Drake House Museum will be open for special evening hours on Wednesday, June 25, 2014, from 6:30PM until 8:30PM to commemorate General George Washington's visit to the Drake family farmhouse on June 25, 1777. General George Washington consulted with his officers at the Drake House during the Battle of Short Hills, which was fought over the entire Plainﬁeld area on June 25-27, 1777. Nathaniel Drake, his wife, Dorothy, and daughters Sarah and Phebe, were all patriots. The sons of the family, Abraham, Cornelius and Isaac, and son-in-law Benjamin Manning served in the Essex and Somerset Counties militia, and their freed slave, Caesar, was a wagoner with the Continental forces under Captain William Davison. 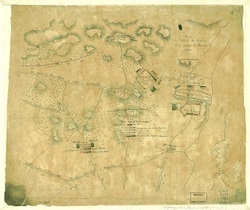 On exhibit will be a copy of a Hessian map from June 1777, showing the positions of Lord Stirling, Lord Cornwallis, and Major General William Howe obtained from the US Library of Congress digital collection. Copies of Caesar's Revolutionary War service record obtained from the David Library of the American Revolution and New Jersey State Archives will also be on display. Digital copies of orders and correspondence written by General Washington during June 1777, obtained from "The Papers of George Washington" online at The University of Virginia, will be available for review. All are welcome to walk in the footsteps of General George Washington, to look up at the ceiling in the period dining room and view the wooden beams that General Washington saw when he visited the Drake House 237 years ago. 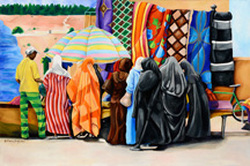 Indira Bailey will be showing her first documentary series entitled "The Art of Morocco: East Meets West". This documentary series is based on Ms. Bailey's six-week Fulbright Fellowship to Morocco, "East Meets West: Islamic, Judaic & Western Influences in Morocco". Indira traveled throughout the country researching and studying the art of the Moroccan communities. Ms. Bailey is sharing this cultural experience with you as she travels through Morocco's capital Rabat's, Ouarzazate, Essaouira, Skoura Oasis, Fez, Marrakech, Tangiers and other historical landmarks. Also, she travels to Volubilis, a UNESCO's World Heritage Site, Argon Women's Cooperative, visits a Berber family in the Sahara Desert and watch the Gnawa perform West African traditional song and dance. This documentary is rich with music, history, and the art of North Africa. "Skool Girls" - Oil on canvas - 30x24 in. The Historical Society of Plainfield will host an opening reception for the "Indira Bailey Art Exhibit" in celebration of Black History Month. Indira is a second generation Plainfielder. She is an extraordinary artist, illustrator and educator. Indira attended Pratt Institute receiving a B.F.A. in Illustration and M.A. in Educational Leadership & Supervision from Kean University. Bailey's work demonstrates her pride, talent and her genuine interest in showing her experience as an African American woman and her travels abroad in a positive light. Bailey's body of work covers several mediums: graphite, charcoal, and oil on canvas. Even as a child, Indira knew she was going to be a successful artist. Her goal was to illustrate the experience and daily life scenes of African Americans in a realistic and enjoyable venue. 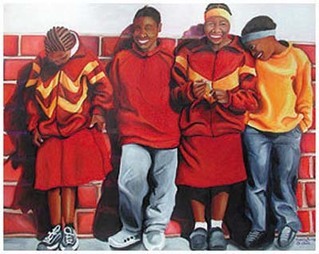 Inspired by watching "Good Times" artist Ernie Barnes as a little girl motivated her to paint and draw. Through her travels, Indira's artwork exemplifies the world from her eyes to her canvas. Her goal is to paint the stories of every day people living in their environment. Ms. Bailey's has exhibited artwork throughout the tri-state area. Indira is an award winning art educator. She has been awarded Hope Street National Teacher Fellowship, Essex County Teacher of the Year, finalist for State of New Jersey Teacher of the Year and currently the finalist for National Art Teacher Fellowship. Bailey has received a Fulbright Hayes Fellowship to Morocco and South Africa, and the Japan Fulbright Memorial Fellowship. Indira was invited as the guest lecturer for the Grace Hampton Lecture Series at the National Art Educators Association Convention in Fort Worth, Texas. She began teaching in the late 1990's, inspiring children by introducing them into the world of art. Ms. Bailey did not look at art class as playtime. Her goal is to promote the creative thinking process in today's youth. Her art students have won first prize in art shows throughout the state. Indira conducts community based educational art workshops and art lectures. Indira is currently has a free online art education newsletter created for the community. Come and meet the artist, Indira Bailey. Refreshments will be served. Donations are always appreciated.